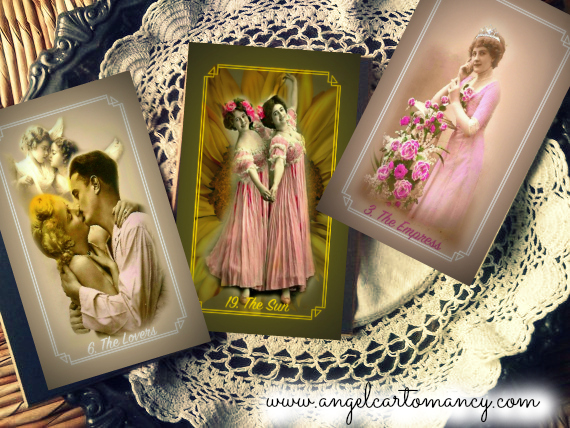 Vintage antique images had always attracted me, the scenery and people expressions would like tell me something, their history. 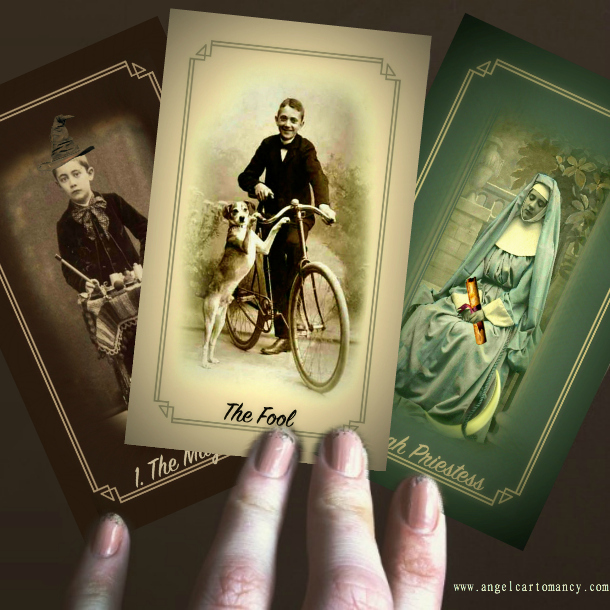 I discovered that these picture could be use in an oracle and this is why, I choose and altered these ancient images known as albumen prints so that they become tarot archetypes. The Albumen print, was invented in 1850 by Louis Désiré Blanquart-Evrard, and was the first commercially exploitable method of producing a photographic print on a paper base from a negative. It used the albumen found in egg whites to bind the photographic chemicals to the paper and became the dominant form of photographic positives from 1855 to the turn of the 20th century, with a peak in the 1860-90 period. The Albumen Tarot comes in 2 edition: Major Arcana Edition and a Full Tarot deck of 78 Cards Edition. This unique of a kind tarot card deck help you in your quest for answers and self-discovery. 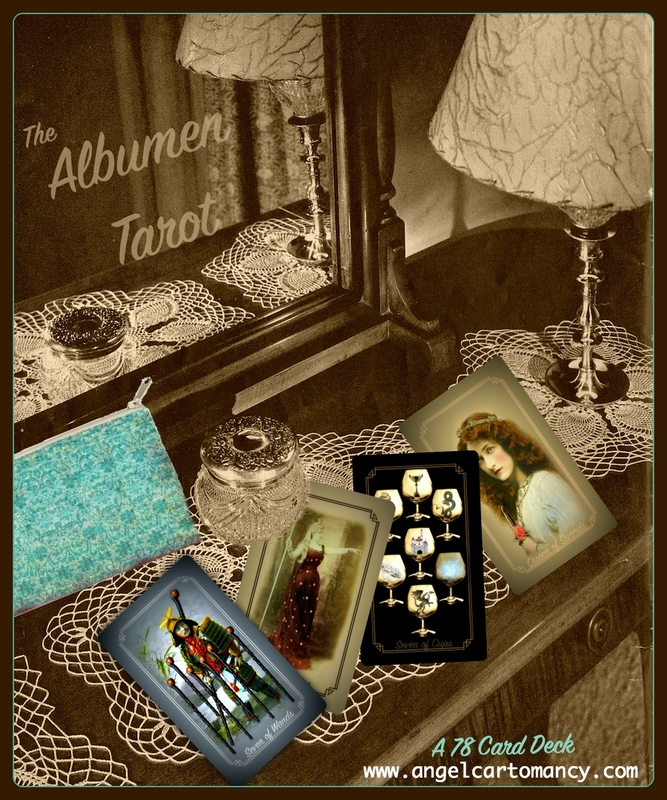 The Albumen Tarot has a young sister, the Albumen Lenormand, see it in the Lenormand section.